In Oleoext we have been taking care of our olive groves for two generations, pampering them to obtain the most select product. Our olive groves are located in the Sierra de Altamira (Cáceres, Extremadura), mountain range of excellent environmental factors, and located within the Geopark Villuercas -Ibores- Jara. Two generations dedicated to the production and commercialization of the best extra virgin olive oil by means of natural olive cultivation techniques. Always looking for excellence in the product, we offer the best varieties of Spanish EVOO: Picual and Cornicabra. 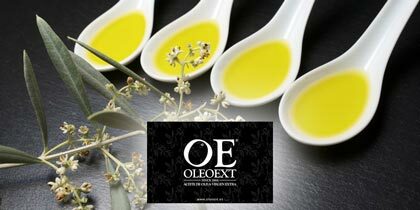 In Oleoext we have always been very clear about our vision, our objective: to produce extra virgin olive oil with the best possible qualities: flavor, aroma, organoleptic properties, nutrients, etc. "The other day they gave me a bottle of this oil, I'm just enjoying every salad I season, undoubtedly a success ..."
"One of the best extra virgin olive oils of our land. Very healthy. With superior organoleptic properties to other similar oils. "